Jay-Z co-founded Rocawear clothing, co-owns a basketball team and was an executive of 2 different record labels. (CareerBuilder) -- I recently came across Zack O'Malley Greenburg's book "Empire State of Mind: How Jay-Z Went from Street Corner to Corner Office." I have to admit that I didn't know if a hip-hop icon had much to teach me (aka a regular worker) about succeeding in our respective fields. But seeing as career books often begin to sound alike when you read the summaries on the flap, I couldn't pass up this interesting angle. Plus, he's just a good artist. I didn't doubt Jay-Z was a prime example of success. His picture might as well be next to the Wikipedia entry on "living the dream." Whether or not you're a fan of his music -- and between "Empire State of Mind" and "Izzo (H.O.V.A. )," you have to like at least one of his tracks -- you can't deny that the man has been able to achieve and exceed his goals. Jay-Z (née Shawn Corey Carter) has countless hits, co-founded Rocawear clothing, co-owns a basketball team, and was an executive of two different record labels. Oh, and Oprah picked his 2010 autobiography to be one of her favorite things, which is about as coveted an endorsement as you can hope for. But after reading Greenburg's book, I have to admit I understand why he makes a superb guide for your career, even if you are looking to be an investment banker or grocery store manager instead of a hip hop legend. If you look at what Jay-Z has done with his career, you might realize that what made him successful is what makes many great leaders successful. What Jay Z did: Jay-Z is a sports enthusiast. He's a proud Yankees fan and he's been a courtside fixture at NBA games for years for The Cavaliers, Knicks and Lakers. Not content with just being a fan, Jay-Z assembled a team (that included Lebron James) in 2003 to play in Entertainers Basketball Classic (EBC) and then became a co-owner of the New Jersey Nets. What you can do: Many of us are sports fans, but few of us have the bank account and business savvy to own an NBA team. However, we can find a way to make one of our passions part of our everyday life, even if your interest doesn't fit within your current job. For example, if you are obsessed with politics but you work at a clothing store, you should leave your opinion of Congress at home. But that doesn't mean you can't start your own political blog or become a contributor to another one. That way you can immerse yourself in a subject you love and still improve your analytical and writing skills. You never know what will become of your side venture -- maybe a new business opportunity. Maybe nothing will happen beyond gaining readership, but at least you'll have space where you can indulge your passions. What Jay-Z did: One of the other reasons Jay-Z decided to assemble that basketball team in the EBC? He knew it was great marketing. He branded a bus with the image of a sneaker he designed for Reebok, had the team tour in it, all while his music blared. And then they'd celebrate at the club he owned in New York. It was his project from top to bottom and he wasn't afraid to promote it. What you can do: The odds are slim that somebody will walk up to you and say, "Wow, all that great work you do? Unbelievable! Let me offer you this high-paying job that is perfect for you." If you're looking for a job, piece together an impressive portfolio or résumé. Think about the awards you've won, leadership positions you've held, and references who will speak glowingly about you. 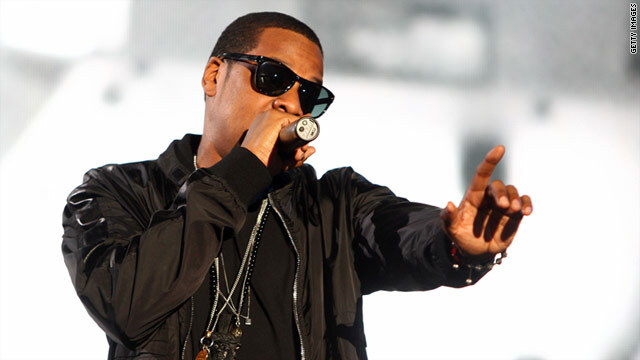 What you can do: Jay-Z retired, but most of us don't have that luxury right now. However, if you're just going through the motions and the excitement and passion you once had are lacking, then don't be afraid to look around. Maybe you need to talk to your boss, find a new job or get into a new industry. Whatever is right for you, make that move. If you're spending 40 hours each week doing a job that bores you, then you're wasting a lot of your life. You'll be so much happier and more productive if you're interested in what you do. What Jay-Z did: When Jay-Z took over Def Jam records in 2005, he couldn't believe that the business model hadn't changed for decades, and employees had no incentive to work hard. He wanted to see people trying new things -- taking risks and competing to be more innovative than the other. So he held a retreat with the employees, told them what he wanted, and then began to transform the organization. Greenburg notes how people were intrigued by the fact that Jay-Z wanted to learn as much as he could about the business. What you can do: When you're not the boss, you can't revamp the organization. But workers can get the attention of the boss and other leadership by coming forward with new ideas. If you're the person interacting with customers every day, you know when the process can be improved and what would make your job more efficient and maybe bring the company more money. Always be respectful, but don't be afraid to be bold once in a while. It can be the only way you stand out sometimes. What Jay-Z did: Jay-Z and Beyoncé are basically music royalty, and when they began quietly dating, everybody wanted to know about it. Yet, they wouldn't comment on their romance, and even to this day the married couple is tight-lipped about any personal information. Therefore you hear more about his and her music than about their personal lives, unlike some famous people. What you can do: You don't need to keep your marriage a secret from your manager, unless you want to, but your weekend partying or marital bickering don't belong at work. Often, professionals decide to post Facebook photos of their drunken adventures or get into a big fight with a spouse over the phone so that the entire office hears. Suddenly your personal drama overshadows your hard work. Remember that your professional reputation is a significant factor in promotions, raises and even layoffs. Don't let a killer keg stand undo your years of hard work. Of course, there are a lot of other things Jay-Z's done right in his career, so I suggest checking out "Empire State of Mind." It's especially refreshing if you're a music fan and/or someone who's not keen on the typical career guides.